Three jackets in one, the Obermeyer Apricity System Ski Jacket has something for any conditions. The outer shell jacket is made from HydroBlock® waterproof fabric and features a DWR coating to keep you dry on overcast days. When things get colder, the zip-in insulator has 60g of Thermore® Classic FE insulation to keep you warm. The Obermeyer Apricity System Ski Jacket also features a Control Zone Ventilation™ system that makes cooling down a breeze thanks to mesh gussets. 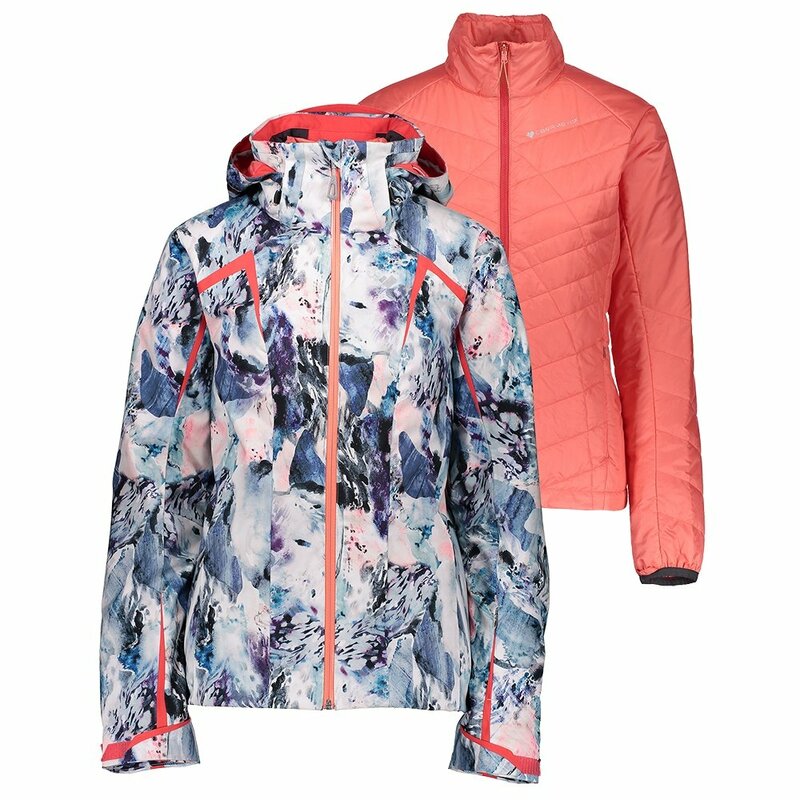 And because you want a practical ski jacket the Apricity System Jacket features an integrated water-resistant powder skirt, detachable goggle cloth, and Ski Contour™ articulated sleeves for comfortable mobility on the slopes. "Does this jacket have a warmth rating?" "Thank you for your inquiry. The Obermeyer Apricity System Ski Jacket has insulation amount of 60 grams but no rating temperature rating is provided. We hope this information helps! "